A doctor who testified that Pakistani security forces had killed a group of unarmed foreigners has himself been shot dead. Dr Baqir Shah was gunned down in the city of Quetta. He had contradicted police reports earlier this year which suggested the five victims had been suicide bombers. Dr Shah was in his car when gunmen pulled up alongside him and sprayed the vehicle with bullets. He died soon afterwards in hospital. It was Dr Shah who, back in May, carried out the autopsies in a controversial case. Two men and three women of Russian and Tajik origin died at a checkpoint just outside Quetta, in the province of Balochistan. One of the women had been heavily pregnant, but police insisted they had all been militants and that they had been carrying explosives. Police said that they died as they detonated a bomb. They said at the time of the attack they had hand grenades and bombs strapped to their bodies. The BBC’s Aleem Maqbool in Islamabad says that Dr Shah’s autopsy corroborated what many witnesses said – that they had in fact died after being shot many times at a distance by the security forces. Witnesses also said they had been unarmed. 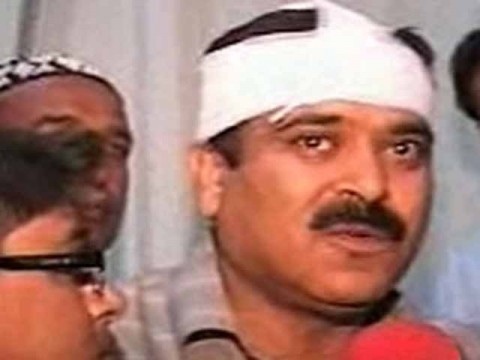 Hours after he filed his testimony, Dr Shah was dragged out of a restaurant and beaten by a group of unidentified men. He later complained that while he was supposed to receive protection, he never got it. Islamabad, Pakistan– America can’t win in Afghanistan as long as assorted Taliban insurgents find safe haven in Pakistan. That’s the no-brainer dressed up as revelation in leaks this week about the latest U.S. National Intelligence Estimate regarding both countries. The proposed solution is tidy, too: Lean on Pakistan to cut links to extremists in the tribal regions along Afghanistan’s eastern border and in southern Baluchistan, even as the CIA ramps up the number of covert drone strikes on those groups. The assumption is that Pakistan can bring the extremists to heel at its pleasure. 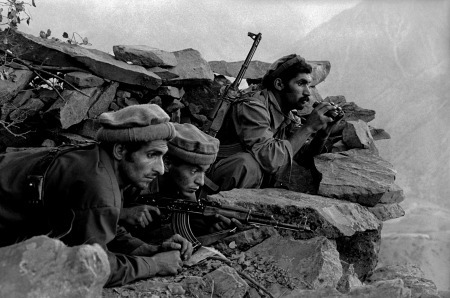 After all, the Pakistani military began nurturing Afghan and other jihadists in the 1980s and has kept them on as “strategic assets” throughout the American long war brought about by 9/11. So, we think, if Islamabad cuts its support and makes life difficult for the jihadists, this unfortunate genie can be put back in the bottle. 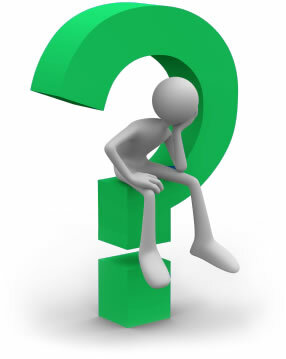 President Obama might even meet his self-imposed deadlines for drawing down the 98,000 American troops in Afghanistan. This is all a useful fiction, maybe even a necessary one. American bribes, threats and pleas have prompted Pakistan into its own troop surge in the tribal regions. Over the past 18 months the Pakistanis have more than quadrupled their presence there, to 140,000, and have taken heavy casualties. Last year the Pakistani army cleared Swat Valley and South Waziristan, which had been overrun by militants. Today’s White House review of the war, which comes a year into the Obama surge, will likely highlight such progress. The president can consider his administration’s spirited engagement with Pakistan a foreign policy success. Credit is also due to “bulldozer” diplomat Richard Holbrooke, who developed close relations with the Pakistani civilian leadership before his untimely death Monday evening. But Pakistan hasn’t turned. The insurgents who kill American troops in Afghanistan—principally the Taliban, whose leadership is in Baluchistan, and the militants loyal to the legendary fighter Jalaluddin Haqqani in the tribal regions—operate all too freely from Pakistan. President Obama should note that, too, today. The year ends sourly for U.S.-Pakistani military relations. American frustration with Pakistan’s army chief, Gen. Ashfaq Kayani, has grown over broken Pakistani promises and a perceived lack of urgency. Summer floods diverted Pakistani troops away from the tribal areas, but the military doesn’t have that excuse now. The Pakistanis have also denied American requests to expand drone coverage to the area around Quetta, the city in Baluchistan that is the heaquarters-in-exile of the Taliban. The Pakistanis may have found a way out. Analysts here say that the military is giving Haqqani time to relocate to a neighboring tribal region, Kurram, before soldiers go in to “clear” North Waziristan. A U.S. defense official here says that he’s seen no evidence to back the claim. But in the past most insurgents have simply melted away in the face of Pakistani advances. Haqqani also figures as a trusted ally in Islamabad’s plans for a postwar Afghanistan. Afghan President Hamid Karzai and some American officials are open to talks with the Taliban, if they bring peace in exchange for power sharing. Also, who knows, America may get fed up and pull out before it wins. With all that in mind, Pakistani leaders may protect Haqqani, their favorite “asset,” thinking he and his Taliban allies may get power in Kabul one way or another. Many circles here welcome U.S. pressure on the military and state to act. Islamic extremists are putting down deep roots in society, to the consternation of educated and moderate Pakistanis. This goes well beyond the mountainous regions that are the traditional home to religious warrior tribes. The state is losing its grip on Baluchistan. The country’s largest city, Karachi, is a militant hotbed. Parts of all Pakistani provinces have been radicalized, including the most populous, Punjab. Terrorism now touches all Pakistanis. Pakistan is becoming more like Afghanistan—only with a more advanced economy and nuclear weapons. The people who cross the porous border between them, an arbitrary line drawn up by the British in the 1890s—already consider them the same country. Pakistan’s military has yet to show that it wants to—or that it can—control the Islamist wave. Many groups have slipped their leash and look at their old patron, the ISI, with distrust. Gen. David Petraeus, the American commander in Afghanistan, certainly has contingency plans for Pakistan that go beyond extra doses of drones or diplomacy. Putting American boots in Waziristan is an obvious idea. But, like so many options, it is unappealing. The fallout in Pakistan would be hard to predict. So for the moment, America gets to pretend that Pakistan can do this on its own. A successful terrorist attack on the U.S. with a Pakistani return address might quickly change that. Pakistanis for Peace Editor’s Note– As we have noted on several occasions before, Pakistan must do a lot more to hunt down the Taliban, its leaders and other militants on its side of the border. Already the violence and acts of terrorism within Pakistan are at an all time high as noted in this article and have touched every Pakistani and every corner of the country. Not eliminating the Taliban completely only allows them to get stronger. Pakistan needs to stop playing a double game and stop thinking of the Taliban as a strategic asset as they never were nor ever will be an asset in any way. Pakistan must eliminate the safe havens for the Taliban within its territory, otherwise the United States will be compelled to act, with or without Pakistan’s blessings, and shall be correct in doing so to prevent attacks on its homeland emanating from Pakistan based militants. Pakistan is poised to approve an application by Industrial and Commercial Bank of China to start operating in the country, a move that Islamabad hopes will herald closer commercial ties with Beijing. Pakistani officials see a visit by Wen Jiabao, the Chinese premier, this month as a chance to strengthen a long-standing alliance at a time when Islamabad’s relations with the US are under strain. Shahid Kardar, Pakistan’s central bank governor, said he would grant ICBC, China’s biggest bank, a licence to open a branch in Pakistan ahead of Mr Wen’s arrival on December 17. Mr Kardar said ICBC applied for the licence several months ago to exploit opportunities in trade and project finance generated by a growing number of Chinese companies working in Pakistan. ICBC, which has a market capitalisation of $300bn, is pursuing an ambitious expansion drive in the Middle East and in big cities across Europe. The bank declined to comment on Mr Kardar’s remarks. Security concerns may weigh on the company’s thinking over how much exposure it seeks in Pakistan. Karachi, home of the country’s banking sector, has witnessed an increase in politically-motivated murders and suicide bombings this year, including an attack on a police compound by Taliban insurgents last month that killed at least 15 people. China’s activities in Pakistan, including increasing military sales and civilian nuclear co-operation, are being watched warily by India, which views both countries with suspicion. Mr Kardar believes ICBC will act as a catalyst for greater activity by Chinese companies who are already investing in infrastructure, energy, telecommunications and mining. 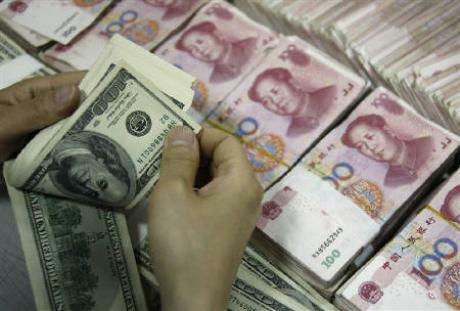 Bilateral trade is worth some $6.2bn a year, dominated by $5bn of Chinese exports, Pakistani officials say. A Taliban suicide bomber detonated a car in an alley behind a police station in a strategically important town in northwestern Pakistan on Monday, killing at least 17 police and civilians in an explosion that shattered the station and neighboring homes. About 40 people were wounded in the attack in Lakki Marwat, which sits on the main road between Punjab province, Pakistan’s largest and most prosperous, and the North and South Waziristan tribal regions. A Pakistani army offensive pushed many militants out of South Waziristan in October. The militants still control much of North Waziristan, where U.S. drone aircraft have been conducting a campaign of targeted killings. Hours after the attack, officials said a suspected U.S. missile strike had killed three alleged militants in North Waziristan, home to the Haqqani network, a militant group battling U.S. and NATO forces in Afghanistan. In Lakki Marwat, rescue workers and police officials were digging through rubble at the station, police official Ghulam Mohammad Khan said. Nine police officers, four adult civilians and four children going to school were slain in the attack. Police official Liaquat Ali said 45 police were in the building when the bomber struck. “I said my morning prayers and we went to sleep, then suddenly there was a big bang. All the debris fell on us,” police official Ikramullah Khan told The Associated Press from a bed in a nearby hospital, where many of the wounded lay wailing in pain as relatives comforted each other. Emergency workers and local residents used cranes to move the rubble of the mostly destroyed police station. Books and a schoolbag could be seen in the wreckage and the twisted frames of a motorcycle and a car sat nearby. A neighborhood shop and mosque also were partly destroyed. 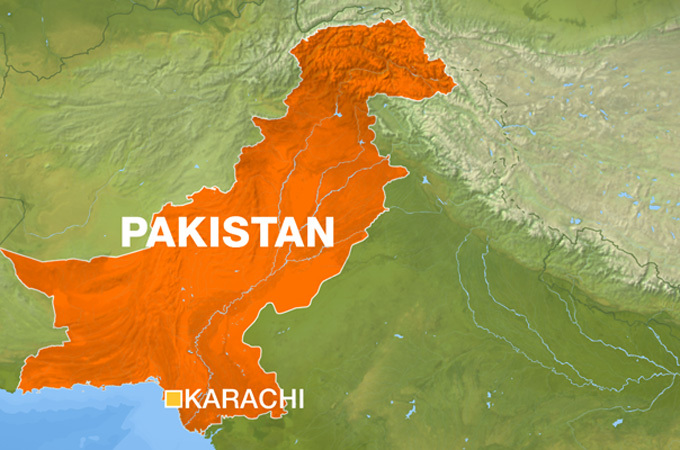 The Pakistani Taliban claimed responsibility for the attack, saying they targeted the police for encouraging residents to set up militias to fight the militants – known locally as lashkars. The group pledged to carry out additional attacks unless the militias disbanded. “After the police, we will attack those active in forming anti-Taliban lashkars if they have not given up their activities,” Taliban spokesman Ahsanullah Ahsan told The Associated Press by telephone from an undisclosed location. The police chief of Lakki Marwat district was killed in a suicide bombing several months ago and militants have carried out a string of attacks in the area since then. In recent days, militants have launched attacks across the nation aimed at destabilizing the country and weakening a civilian government already struggling with a massive flooding that has displaced millions and caused widespread destruction. The deadliest have targeted minority Shiite Muslims. 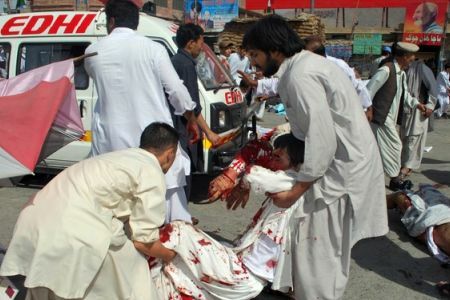 A suicide bombing killed at least 43 Shiite Muslims at a procession in the southwestern city of Quetta on Friday. Two days earlier, a triple suicide attack killed 35 people at a Shiite ceremony in the eastern city of Lahore. Both were claimed by the Pakistani Taliban, whose commander Qari Hussain Mehsud threatened Friday that his group would wage imminent attacks in the U.S. and Europe. On the same day, Pakistani intelligence officials said two suspected U.S. missile strikes had killed at least seven people in North Waziristan, which is largely controlled by the Haqqani network, one of the main groups battling Americans in neighboring Afghanistan.